Join forces with others inside and outside your organization to solve your toughest problems. 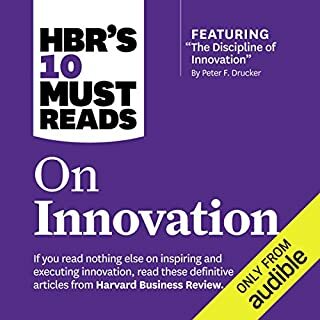 If you listen to nothing else on collaborating effectively, you should at least hear these 10 articles. 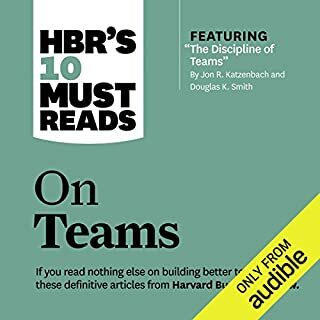 We've combed through hundreds of articles in the Harvard Business Review archive and selected the most important ones to help you work more productively with people on your team, in other departments, and in other organizations. Are your working relationships working against you? To achieve your goals and get ahead, you need to rally people behind you and your ideas. But how do you do that when you lack formal authority, or when you have a boss who gets in your way, or when you're juggling others' needs at the expense of your own? Change is the one constant in business, and we must adapt or face obsolescence. Yet certain challenges never go away. 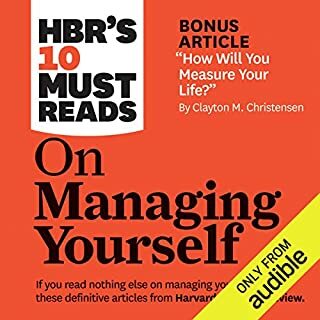 That's what makes this book "must hear." 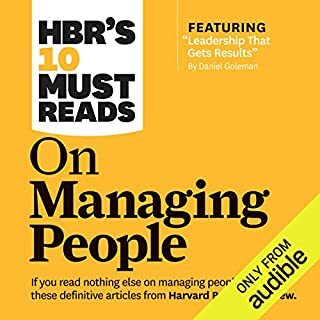 These are the 10 seminal articles by management's most influential experts, on topics of perennial concern to ambitious managers and leaders hungry for inspiration - and ready to run with big ideas to accelerate their own and their companies' success. If you listen to nothing else "full stop" hear: Michael Porter on creating competitive advantage and distinguishing your company from rivals, John Kotter on leading change through eight critical stages, Daniel Goleman on using emotional intelligence to maximize performance, Peter Drucker on managing your career by evaluating your own strengths and weaknesses, Clay Christensen on orchestrating innovation within established organizations, Tom Davenport on using analytics to determine how to keep your customers loyal, Robert Kaplan and David Norton on measuring your company's strategy with the Balanced Scorecard, Rosabeth Moss Kanter on avoiding common mistakes when pushing innovation forward, Ted Levitt on understanding who your customers are and what they really want, C. K. Prahalad and Gary Hamel on identifying the unique, integrated systems that support your strategy. these articles are certainly something that people should know in the business World. However, as an audio book it's a little rough to get through. good business lessons but very dated examples...VHS Sony, and JVC... seriously?! good lessons none the less. Its as simple as having this guy read it. Siri should read it instead for better performance. Many articles are 20-30 years old yet still prove just as relevant today. 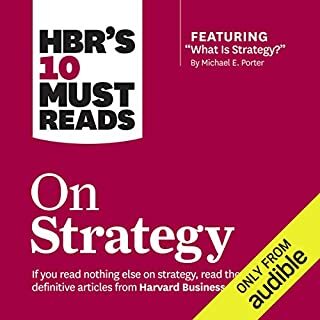 Refreshing listen that reminds me of the essentials of running a sound business, back to basics at its best. 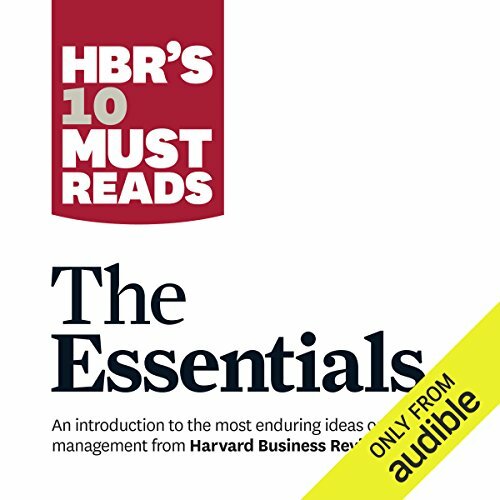 What did you like most about HBR's 10 Must Reads: The Essentials? 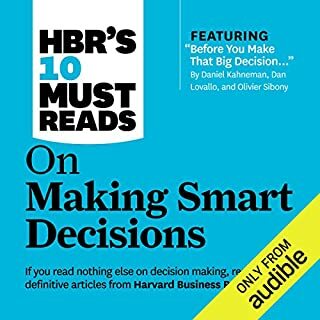 I listened to a couple of HBR selected texts as part of my MBA and they offer brilliant and accessible insight into key articles from the leading source. Some interesting articles, some less so. Most irritating was the narrator's inability to pronounce 'competency' which seems to gain an extra 'n' in the middle. So distracting that it made me skip the entire of the final article.